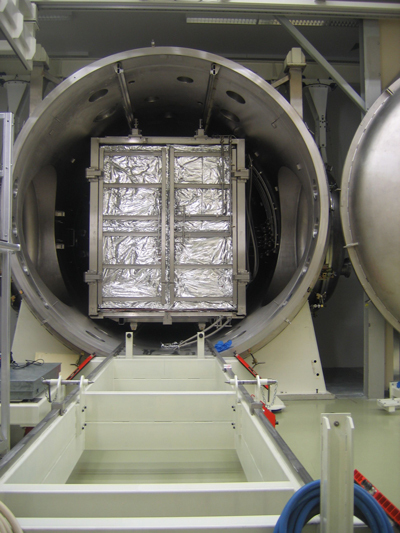 The Phenix Facility is a thermal vacuum facility dedicated to small/ medium spacecrafts and subsystems. 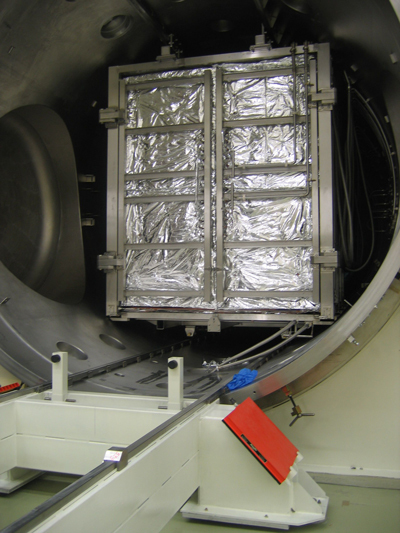 The facility consists of a cylindrical chamber with a movable box shaped shrouds and a movable preparation platform. 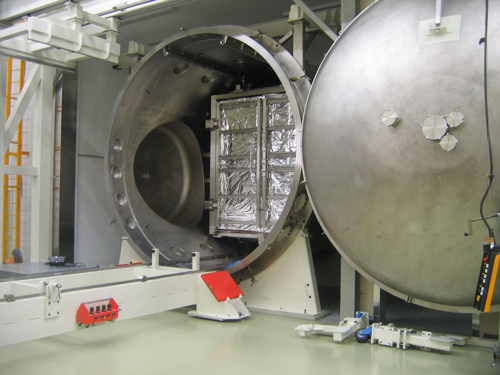 The specific design enables a quicker throughput time: The movable platform/shroud enables preparation outside the chamber and quick facility loading, A ring interface and point interface provides flexibility in test adapter design, the independent controllable shrouds enable testing without extra IR rig (6 independent thermal channels). In the upper part of the box shaped shrouds interfaces are available for supporting videogrammetry equipment and specific IR simulators to complement the independent controllable shrouds.